Our carpet cleaning in Brunswick 3056 is a reliable service, aimed at ridding your rugs and carpets from all manner of dirt, spills and stains. Our staff have access to a range of fantastic, high-tech tools and cleaning equipment - allowing us to deliver a wide range of services, including steam and dry cleaning, with ease. We pride ourselves on the quality of our work, and the high calibre of our staff allows us to guarantee great results every time. 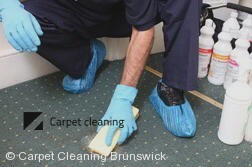 When you book us for carpet cleaning services in Brunswick you'll be taking advantage of some of the finest cleaners in the industry - all of whom boast a full training combined with years of experience. Call us now, on 03 8672 2728. Our lines are open 24/7, and we have a team of friendly, knowledgeable staff on hand to answer your questions - or help you to make a booking. You'll even be able to request a free, no-obligation quote on our Brunswick carpet cleaners. Alternatively, you can request a quote using our online form - and prepare to enjoy our professional carpet cleaning in Brunswick! "Having the carpets and the rugs looking good again is like dream come true for me. Thank you for the good job." "The prices, the quality and the speed of your services suit me great and that is why I hire you so many times. Keep the good work and stay motivated." "After a big dinner in my home I had great memories, several pictures and a brand new wine stain on my carpet. Thanks to your services I got rid of it. Thank..."